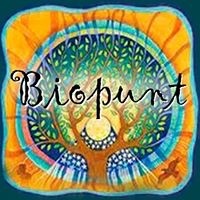 Michelei is currently working in Ibiza and is able to see people at Biopunt this is a great location just outside San Antonio. Among many things the shop sells a great range of health food/ingredients and skin care products. also hosts many different activities in the week such as yoga and pilates classes. Many complementary therapies are also available such as acupuncture, osteopathy and reflexology. Michele will mostly be available to see people on Tuesdays and Fridays, although other times may be possible.